Senior Celeste Amaya dodges a Cougar defender. Amaya has played a crucial role in the midfield, providing excellent passes to her teammates. 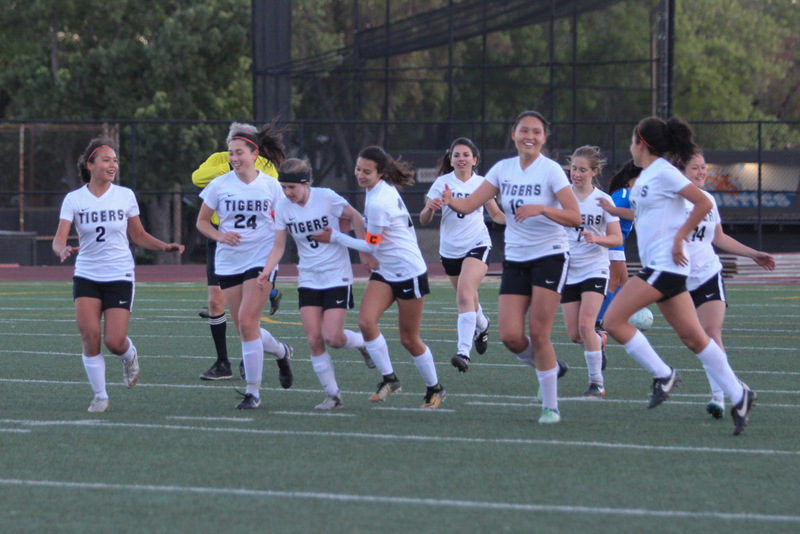 Girls’ varsity soccer breezed through the CIF quarterfinals as they beat out the Beaumont Cougars, 2-1, at a home CIF Southern Section Division V match on Friday, February 23. 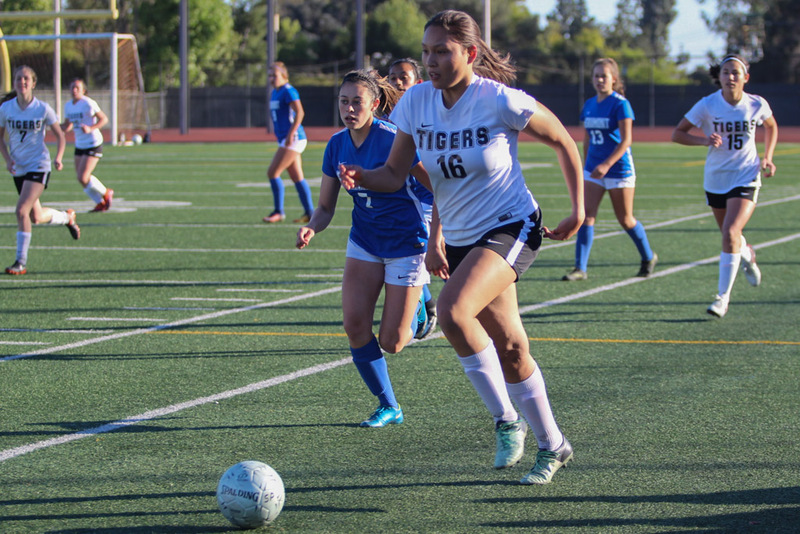 Though they conceded their first goal since their first San Marino matchup in early January, the Tigers took a solid victory over the ultimately weaker Cougars. With a 19-3-2 record, South Pas charges onward to CIF semi-finals. The Tigers celebrate their second goal together. The goal came from a beautiful header by Junior Rainey Tilley. Put frankly, the first five minutes of the game were among the Tigers’ most incompetent. 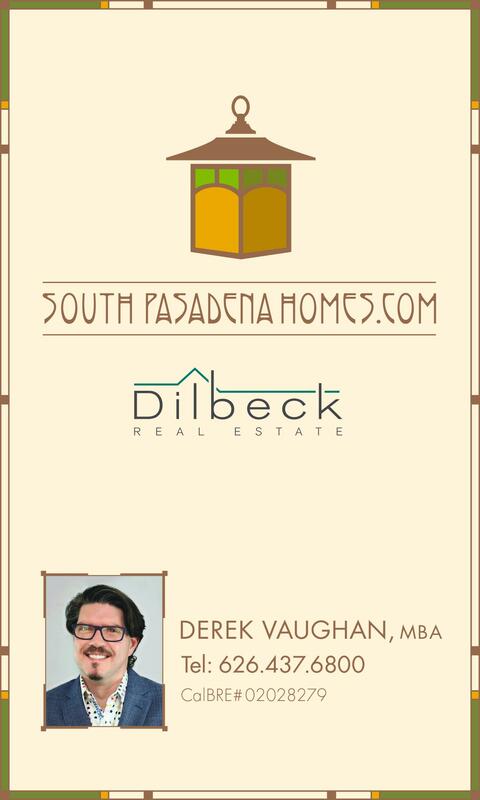 All of South Pas’ glaring flaws were on full display– a breakdown in both communication and speed. As the flat-footed Tigers struggled to gather a trace of composure, the Cougars were able to stun the defense, sending a measly shot to the far right edge of the net. With this embarrassing goal surrendered, the feelings of disappointment and despair were palpable, from stands to bench to field. Senior Isabel Bluml advances the ball toward the net. Bluml scored the critical game-tying goal against the visiting Beaumont Cougars. 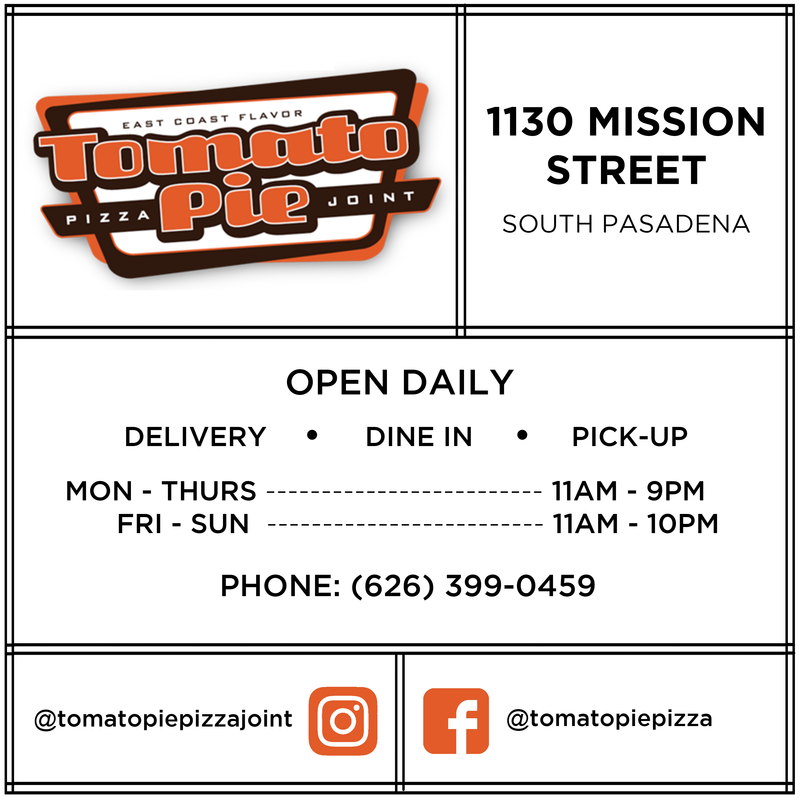 Given these circumstances, South Pas was prime for an epic comeback. Slowly but surely, the Tigers fell into their standard rhythm, as if they were a long-unused engine whirring to life. Senior and junior forwards Isabel Bluml and Uma Hornish acted as a jumpstart to said machine, both pinning many gorgeous opportunities and shots on goal. Soon enough, this frontline– coupled with the consistently strong midfield– usurped possession of the ball for the majority of the game. 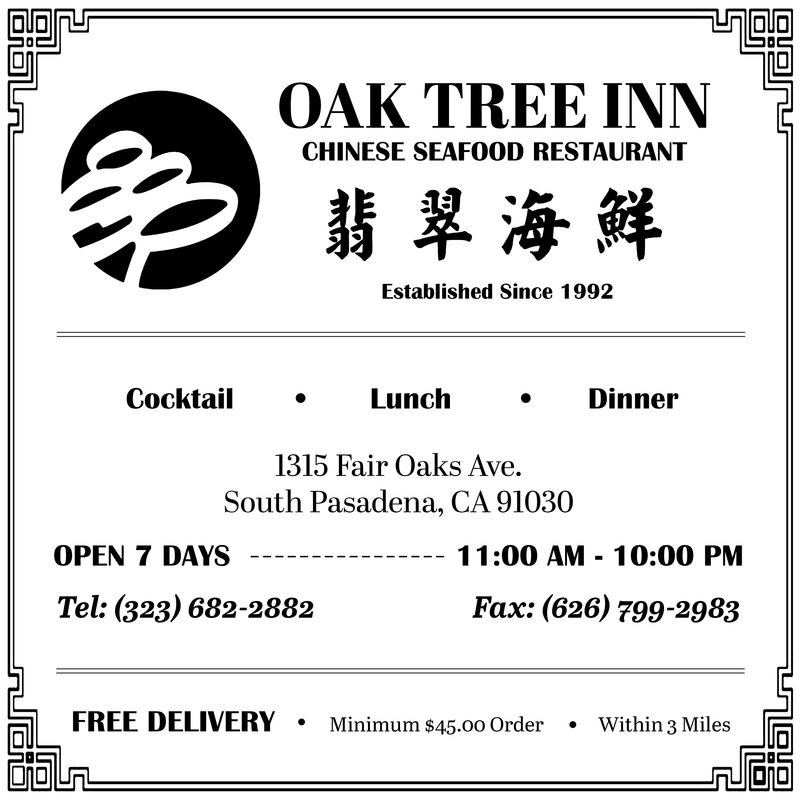 Despite this, credit is due to the Beaumont goalkeeper; faced against Hornish’s and Bluml’s attacks, senior midfielder Emily Dunn’s textbook corner kick, and senior co-captain and defender Riley Segal’s fearsome free kick, the keeper held her ground superbly, denying a multitude of South Pas goals. It would take Dunn’s fantastic throw in and Bluml’s brilliant finishing halfway through the half for the Tigers to equalize the score. Play would continue this way for the remainder of the half with South Pas barraging a talented goalie. 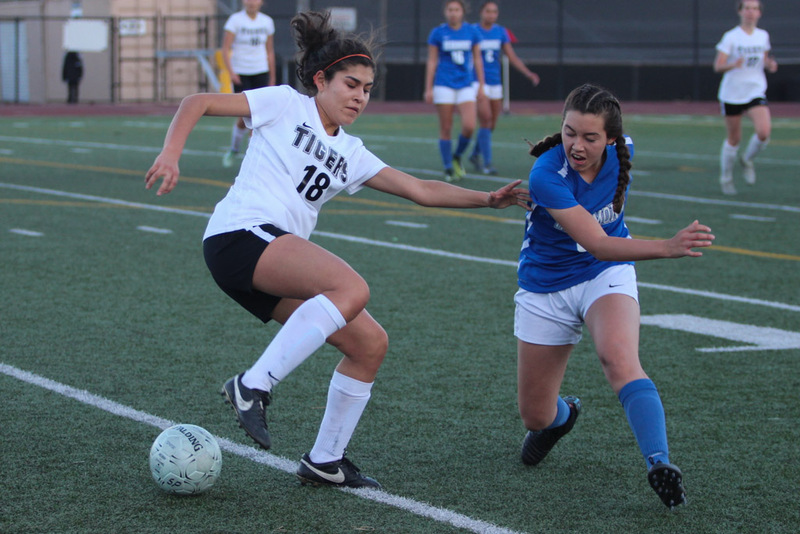 The second half mirrored the first without its beginning woes; for a long period, the Tigers just could not catch a break with this capable Cougar goalie. Meanwhile, the South Pas defense, especially wary from the initial goal, kept the ball far from their territory. Senior Celeste Amaya shined in the backline, easily juking out Beaumont forwards on the regular. She would play a integral role in shocking the Cougars ten minutes until the end, swiftly overturning possession on a Beaumont attack and playing the ball long. Hornish then collected this pass, turned, and crossed to the available junior midfielder Rainey Tilley. With a bonk of her head, Tilley secured South Pas the win with her second header-goal in a row in two games. By then, the Tigers had complete control of the field, and the Cougars could not compensate. Junior Uma Hornish chases the ball while vying for possession. The girls continue to climb up the ladder of CIF, as they approach the top with semifinals. 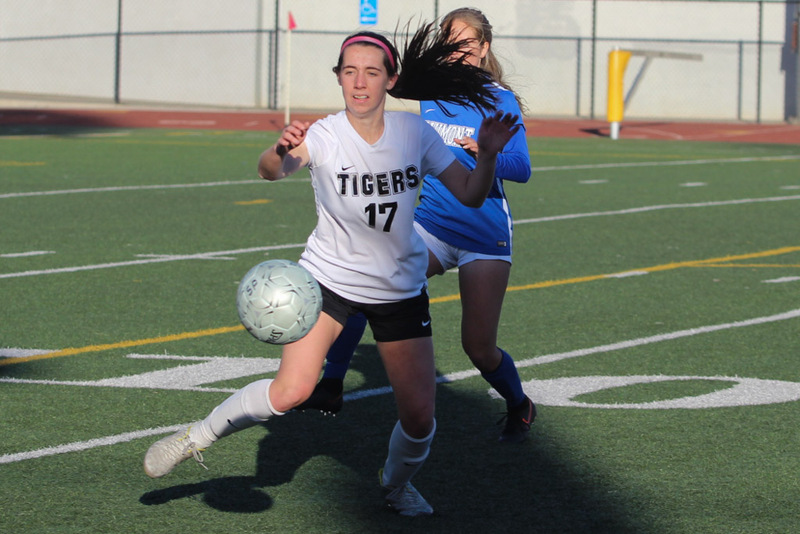 The Tigers will have to defeat the Los Amigos Lobos at an away game on Tuesday, February 27 if they are to clinch a spot in CIF finals, which could lead to a glorious CIF title for SPHS girls’ soccer.